It's never too late to make peace with your reflection. In a world obsessed with beauty, it's easy to feel like you don't measure up. In Beauty Begins, mother and daughter team, Chris and Megan Shook challenge readers to trade in the pressure of perfection for the perfect love of God. It's time to reclaim what it means to be truly beautiful. Go for it! 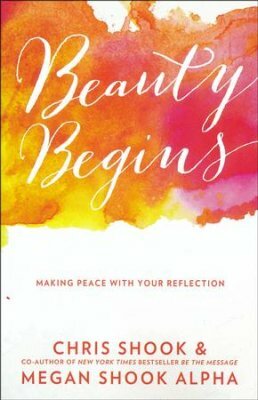 Click the button below to add the Beauty Begins: Making Peace with Your Reflection to your wish list.